This entry was posted in LEB and tagged 2018, Covered Work on November 12, 2018 by TWU Local 555. 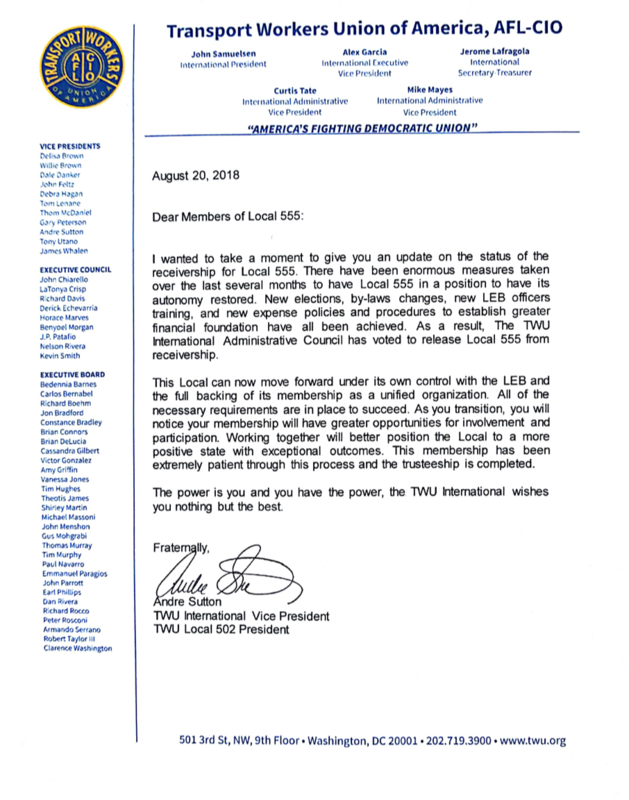 This entry was posted in LEB and tagged 2018, LEB, Pay Adjustment, Staff, Trustee, TWU International on October 17, 2018 by TWU Local 555. This entry was posted in LEB and tagged 2018, Social Media Policy, TWU Local 555 on September 28, 2018 by TWU Local 555.